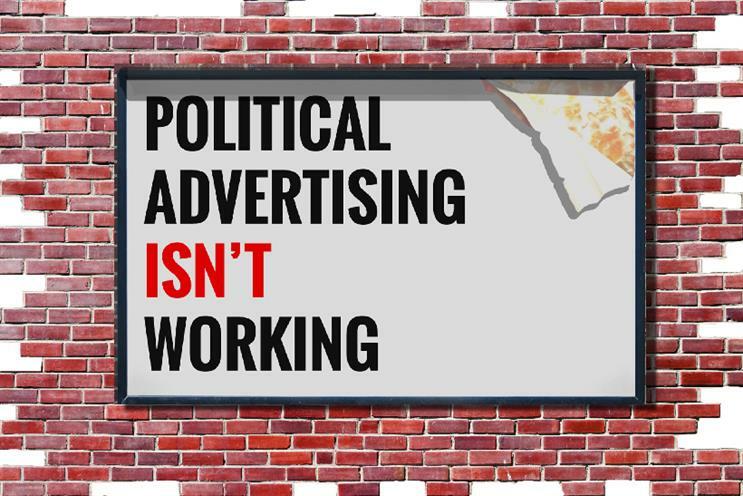 The IPA has welcomed proposals to force online political ads to carry a digital imprint in the fight against murky digital propaganda, but has called on the government to go further. The Electoral Commision today called for urgent reforms to electoral law following recent online scandals including Cambridge Analytica’s use of Facebook in campaigns supporting Brexit and Donald Trump's presidential bid in the US. Among various recommendations, the UK’s elections regulator has now called for a change in law that requires all online political ad material to say who paid for it, as is the case for printed leaflets and above-the-line ads. Each political ad would contain a digital imprint that would specify who is behind the ad and who paid for it. The Electoral Commission has also backed the publication of a database of political ads so the public can see what ads a campaigners has taken out and how much was paid for them. The announcement follows April’s intervention by the IPA, which called for a suspension of micro-targeted online political ads in the UK and the creation of a public register of political ads. In renewing its call for a moratorium on such ads today, the IPA said it welcomed the Commission’s proposals, but warned its limited remit around campaign spending meant that the government needed to intervene further. Sarah Golding, the IPA president and chief executive of The & Partnership London, said: "We have watched with mounting concern the apparent use of advertising targeting technology, benignly designed for commercial product and service messaging, to have been deployed for micro-targeted political advertising." She added: "It is incumbent upon us to shine a light on this, get it out into the public domain and make us all more accountable. Only through this transparency can we begin to rebuild and regain trust." Sir John Holmes, the chairman of the Electoral Commission, acknowledged concerns that British democracy "may be under threat" in the regulator’s report. Unlike commercial ads, which are regulated by the Avertising Standards Authority, there is no complaints procedure in the UK for political ads that tell lies or make misleading claims. However, the regulator said it was "not in a position to monitor the truthfulness of campaign claims, online or otherwise". Instead, the report said a digital imprint would help voters assess the credibility of campaign messages. In the report, Holmes also called on Facebook and Twitter to take action on removing murky political ads. "We also call on social media companies to play their part in transforming the transparency of digital political advertising and removing messages which do not meet the right standards. If this turns out to be insufficient, the UK’s governments and parliaments should be ready to consider direct regulation," he said.